The show is scheduled for December at Liberty Fine Art Gallery. The Reception will be December 5 ,2013 in the evening. I am currently working to finalize the selection of photographs for the show and working on the promotional material. I should have the design of the postcard done within the next few days and locating a printing company to print them. 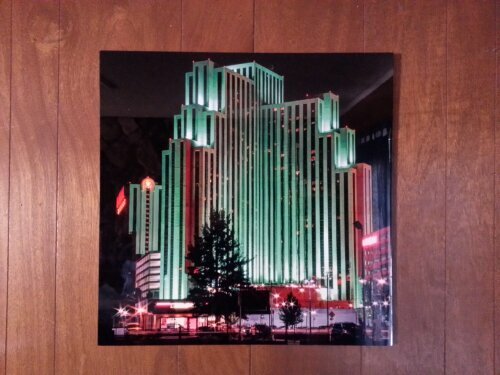 All of the photographs in the show will be of downtown Reno, NV at night printed on aluminum sheets. The photographic prints on display will be available from the me in other sizes. I will make an online gallery of the images available online after the official opening of the show for those not able to make it to the gallery to see the works in person. Prints from the online gallery will be available by contacting me. Here is one of the prints for my upcoming show. I am working on a series of photographs of the downtown area of Reno, Nevada for a gallery show that will be in late November or early December. As the details are confirmed, I will post the details here and other places. So far I have found that the night with the least traffic is Monday night/Tuesday morning. After I select a photograph to represent the series for the marketing materials, I will post a copy of it at http://gallery.amomentoftimephotos.com, the other images will only be online after the completion of the show. The process of setting up this show has me thinking about other related shows that I may put together if this one is a success.